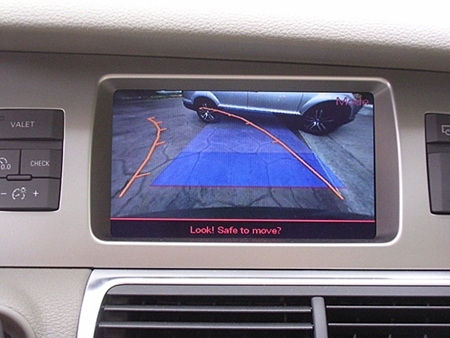 It looks as if safety regulators in the US are expected to make rear-view cameras mandatory on all new cars from 2014. The thinking behind this comes from the fact that in North America, on average two children die and about 50 are injured every week when someone accidentally backs over them in a vehicle, according to KidsAndCars.org, a non-profit group that pushed the government to begin tracking such tragedies. In other countries where good statistics are kept such as Australia, between 12 and 18 toddlers die each year in driveway accidents and at least three children per week are seriously injured. The National Highway Traffic Safety Administration, which proposed the mandate in late 2010, is expected to send a final version of the rule to Congress on Wednesday this week. Regulators predicted that adding the cameras and viewing screens will cost the auto industry as much as $2.7 billion a year, or $160 to $200 a vehicle. At least some of the cost is expected to be passed on to consumers through higher prices. US government statistics indicate that 228 people of all ages – 44 percent of whom are under age 5 – die every year in driveway accidents involving cars. About 17,000 people a year are injured in such accidents. Car makers began offering rear-view cameras only about a decade ago, by using the built-in navigation screens that first appeared on luxury models. The feature has become increasingly popular as companies found more inexpensive ways to display camera images to a driver, such as on a screen hidden in the rear-view mirror. In anticipation of the 2014 mandate, car makers have been designing models with camera systems in mind. Instead of including a camera in a $2000 navigation package, many have made it standard or a stand-alone option for a few hundred dollars. Regulators studied other ways of improving rear visibility, including the beeping radar-based sensors that many vehicles already offer. But they determined that the sensors often did not detect moving people, especially children. Drivers also responded better to the camera image than the audio alerts, they said. Whilst I agree that driveway fatalities are extremely distressing, I am not convinced that looking at a screen is the best way to avoid them. The radar reversing warning, in my Toyota at least, is very sensitive, detects movement and even wire fencing, using hearing and leaving vision for all the other tasks. Fancy a small SUV with a three pointed star?